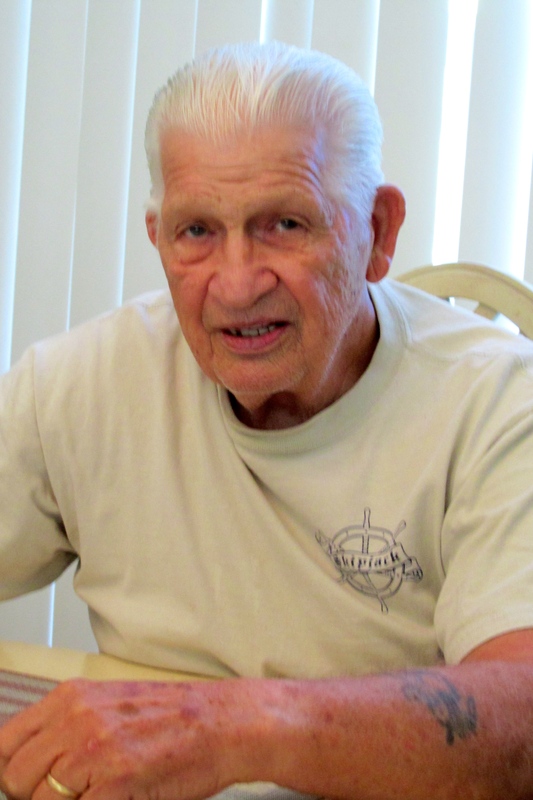 Bill Fields, an 85-year-old North Port, Fla. resident, signed up in 1947 for the New Jersey National Guard with a couple of high school buddies. By the time he finished his 29 years of service in the military he had served in the New Jersey National Guard, Regular Army, 82nd Airborne Division, Air Force Path Finders, Air Force Reserve, as a Navy paratrooper, New Jersey Air National Guard once more and finally the Army National Guard in New Jersey where it all began. 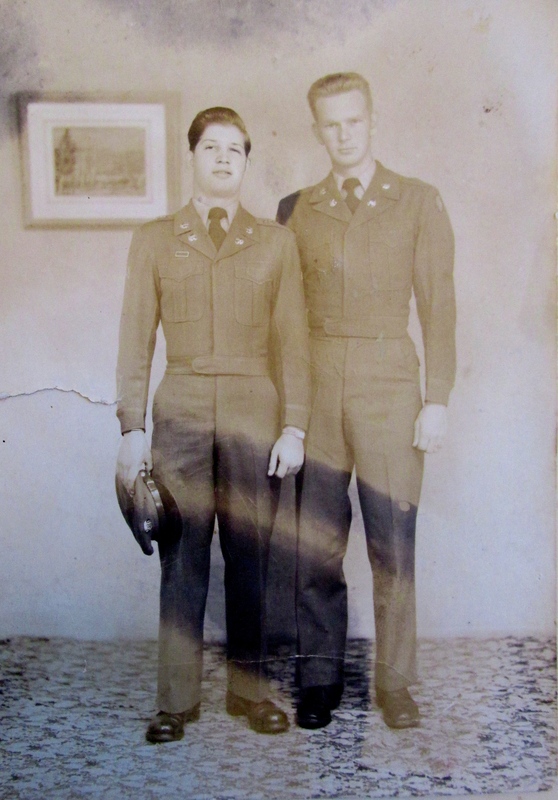 “On April 20, 1947 myself and two high school friends went down to see the recruiter. All three of us signed up for the New Jersey National Guard,” he recalled more than a half century later. “The three of us went to Fort Dix, N.J. for basic training. Then I went on to Leadership Training at Dix. After that I was sent to Washington for shipment to Japan. “It took us two weeks to reach Yokohama in a convoy aboard a liberty ship. For five of those days we sailed through a storm at sea. I was sick as a dog like most everyone else aboard the ship,” Fields recalled. He ended up as a “grunt” (rifle toting private) in the 19th Infantry Division stationed at Camp Chickamauga on Kyushu, the southernmost island of the Japanese main islands. Asked about being an 18-year-old member of the American occupation force in 1948, he said it was an interesting experience. Fields wasn’t in the country long when he was transferred to headquarters company as a member of the Intelligence and Reconnaissance Section. It was their job to check out Japanese Police stations on the Island of Kyushu. U.S. officials also wanted to know abut any Communist activities happening in the neighborhood. Apparently they weren’t doing much because Fields didn’t mention anything involving the Communists. His Intelligence and Reconnaissance group spent much of their time determining the condition of the roads and bridges in that part of Japan. The U.S. Army wanted a status report on the roads and in some cases there was a need to send in American troops. In mid 1950, just before the outbreak of the Korean War, Fields returned to the States after serving 18 months overseas. A short while later he was discharged from the Army after completing his first hitch. “In June 1950 all of my friends in the 19th Division were sent to Korea to fight the war,” he recalled. “Many of them didn’t return. “I had a particularly good friend, Duke Cranford, who I’ve stayed in touch with all these years. He went to Korea as part of the 19th Division. He was the only survivor of a combat mission over there. A few months after returning from Korea, Fields decided he liked the military so much he joined the New Jersey National Guard once more. After eight years in the guard he decided to go back into the regular Army and signed up with the 82nd Airborne Division. He was a sergeant in the guard, but he had to sign up as a private when he joined the 82nd. “I went to jump school at Fort Bragg, N.C. I became an 81 mm mortar expert and a forward observer for the 82nd mortar unit,’ He said. After four years with the 82nd Fields got a chance to sign up with the Air Force’s Pathfinders at McGuire Air Force Base in New Jersey. “Right after I signed up I was called to active duty because of the ‘Cuban Missile Crisis’ in 1962. We made a lot of jumps. It was our job to mark the drop zone for Air Transport Command that was delivering the goods to the target,” Fields explained. Despite all his training he never went into battle. Six months later, after the “Cuban Missile Crisis” subsided he returned to the Air Force Reserve and worked out of Mc Guire Air Force Base in New Jersey. He became an Air Force loadmaster on a C-119 “Flying Boxcar” transport plane. It wasn’t long after that the Navy was looking for someone with a lot of jump experience to work with them. He signed up to help the Navy out. “On my first jump with the Navy I jumped out of the plane and then realized there was no drop zone below me,” Fields said. “They dropped me way out on a pine barren. I was lucky I didn’t get impaled on a burned out tree. “It gathered up my chute and it took me two more hours to walk out of the woods with the aide of a compass pointing the way,” he said. After working with the Navy as a jump expert, Fields decided to go back into the Army National Guard in 1963. He became a member of the 50th Armored Division for the next 19 years until his military job conflicted with his civilian job as a supervisor at Wall Rope Co. in Beverly, N.J. He retired for good in 1982 as a Sergeant 1st class and a mortar expert in the 50th Division. Fields and Anne, his second wife, moved to North Port in 1999. Together they have five children. He has two from his first =wife who is deceased: Wayne and Patricia. Anne has three from her first marriage: Daniel, Tracy and Amy. This story was first published in the Charlotte Sun newspaper, Port Charlotte, Fla. on Monday, Oct. 26, 2015 and is republished with permission.